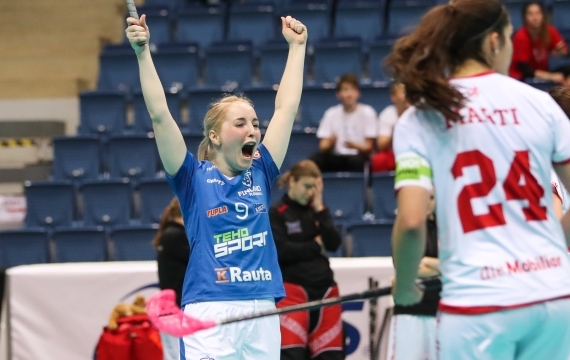 Finland's top series for women, naisten Salibandyliiga, is in for a major overhaul. After one more season with just 10 teams, the series will be melted together with today's second highest series. The result for 2019-2020 will be a 16-team league divided to groups called very Swiss-soundingly NLA and NLB. From there, the two best teams of NLB will play the last two of NLA with a chance to make the quarter-finals. The goals for the change are to quarantee the teams more games than now and simultaneously also to include more clubs in women's elite level. In women's silly season, new champions SB-Pro started with firing their champion coach Matti Kaipio in favour of Vesa Pulkkinen from PSS. The reason was said to be problems with club management. Denisa Ratajova is leaving the team for Swedish Pixbo and Elina Kujala is still to announce whether she will play further or retire. Giants Classic have also suffered losses with Eliisa Alanko and Katri Luomaniemi retiring and Sanni Nieminen heading for Chur. Ella Alanko and Nina Rantala are still pondering about their career which also does not look good at all for the national team. These two also did not attend the national team's training camp in May. To cover their losses, Classic recently acquired Slovak national team stars Michaela Sponiarova and Denisa Ferencikova from Czech champions Vitkovice. Super twins Veera Kauppi and Oona Kauppi have never hidden their ambitions to play abroad and it remains to be seen whether they will represent Pixbo or KAIS Mora or some other team next year. At least these two destinations have been mentioned. Two national team players confirmed to leave Finland for Sweden are Milla Nordlund from TPS to Endre and Mia Karjalainen from PSS to Pixbo.